SUPERIOR LOCATION ON STATE ROAD 80A ALSO KNOWN AS COWBOY WAY—DIRECTLY ACROSS FROM THE LABELLE AIRPORT, INCLUDING NEW TERMINAL AND RESTAURANT and on the most traveled secondary road in LaBelle with traffic to and from two of LaBelle’s elementary schools, LaBelle Middle School, LaBelle High School, and Florida Southwestern State College campus. There are multiple state and county facilities and businesses including the LaBelle senior citizen center, State’s attorney office, LaBelle EMT station, Agricultural building, etc. 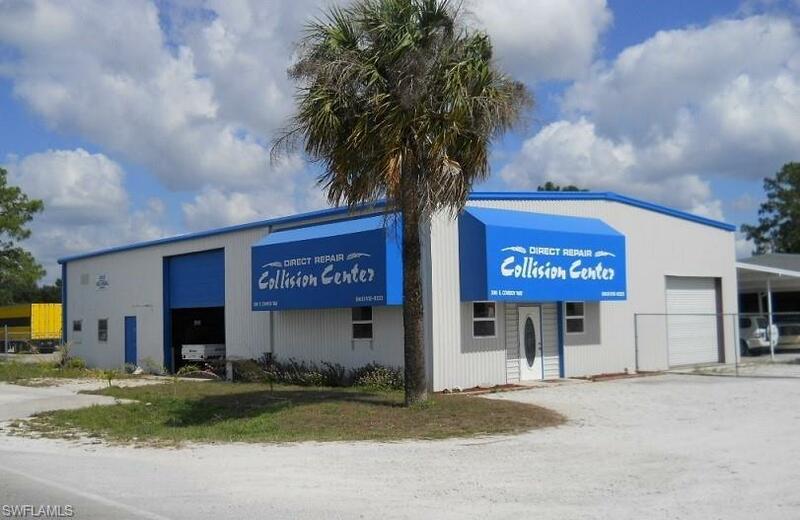 This 1+ acre with approximately 180 ft of highway frontage houses two steel buildings including the front building which has 5, 436 SF (3, 800 in shop area and 768 in office and display area and 768 in loft storage area) and was built in 1973; the rear building is 41x60 or 2, 460 SF, also built in 1973. There is a concrete slab between the buildings and also an aluminum carport area on concrete for work that can be done outside. The property also has an RV carport and has 6 ft security chain link fencing with rolling gates. A GREAT INVESTMENT IN AN ALWAYS APPRECIATING AREA DUE TO AIRPORT, SCHOOLS, BUSINESSES, AND PUBLIC FACILITIES!